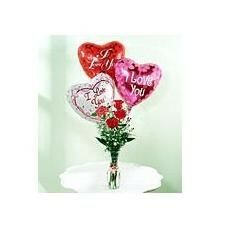 4 Roses and 3 Mylar Valentine balloons! Sure to bring a smile to your reciepient. Add a teddy bear for a perfect trio!